At first, police though the suspect was still inside the house. But after the home was searched, officers determined that he had taken off. 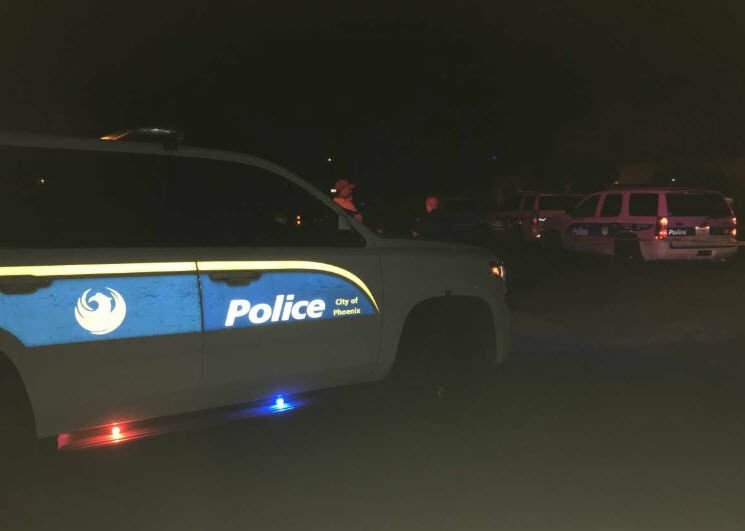 PHOENIX, AZ (3TV/CBS5) -- Phoenix police are investigating a shooting that left one man critically injured. The shooting happened just after 7:30 p.m. on Saturday near 12th Avenue and north of Baseline Road. Police say two men were inside a house in that area, when one of them shot the other. The injured person was transported to a local hospital in critical condition. At first, police thought the suspect was still inside the house. But after the home was searched, officers determined that he had taken off.